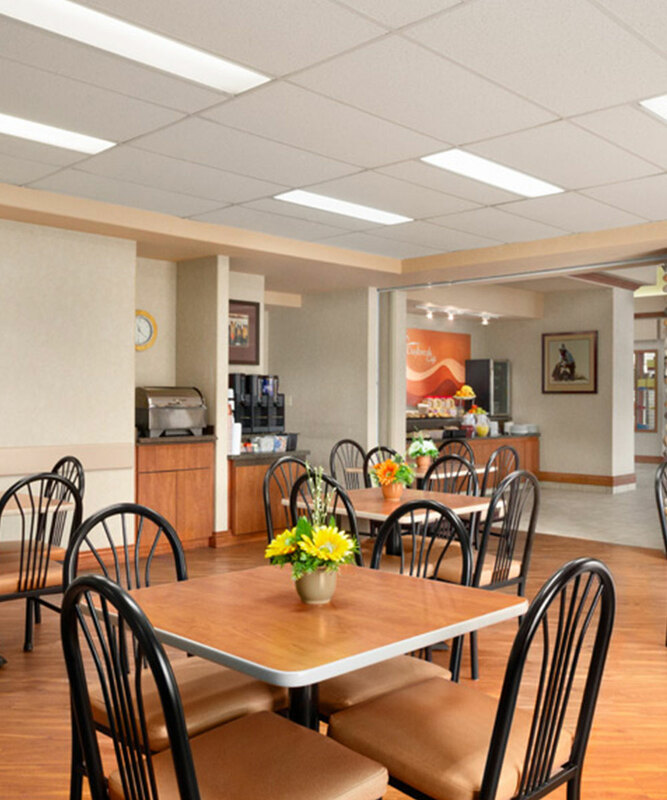 Days Inn Red Deer offers the very best to our guests, from our comfortable rooms and suites to our complimentary hotel amenities designed to make your stay with us as easy and fun as possible! And, to thank you for choosing to stay with us, we like to welcome our guests with a freshly baked cookie at check-in. Take a refreshing dip in our indoor pool with a water slide, or slip into our soothing hot tub for a few moments of relaxation. 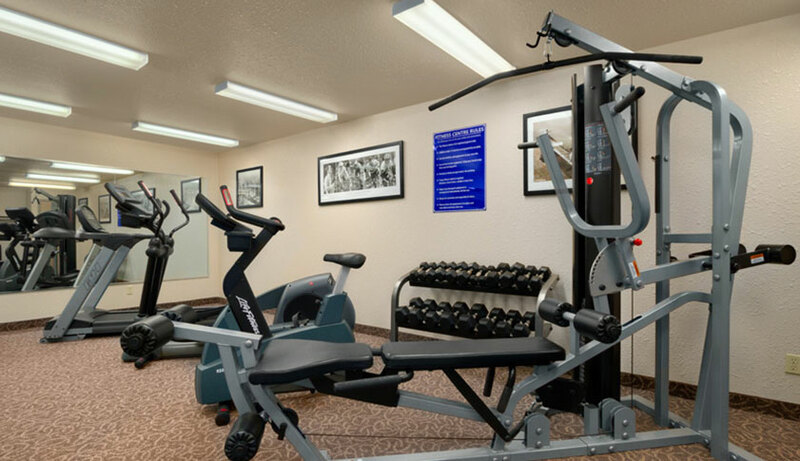 If you’re feeling energetic after a healthy complimentary Daybreak breakfast, try out our fitness centre featuring Life Fitness equipment, Universal weight machines and free weights. To experience our Days Inn Red Deer hotel services and amenities, book your room or suite online today! Make a splash in our large heated indoor pool, complete with a water slide and hot tub. The bright pool area features plenty of windows and natural light, as well as poolside seating if you prefer to stay dry while the kids play. 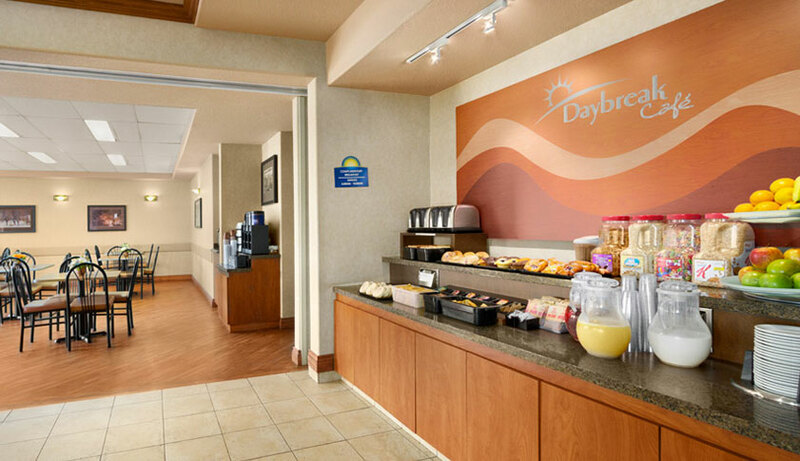 Fuel up for the day with our delicious complimentary Daybreak breakfast served daily in our sunny breakfast room. The buffet-style breakfast serves fresh baked goods, yogurt, toast, hot and cold cereal, fresh fruit, coffee, tea and juice. Stick to your fitness goals and head to our bright and clean fitness centre, featuring wall mirrors, Life Fitness cardio machines, Universal weight machines and a selection of free weights. There’s also plenty of floor space for stretching. 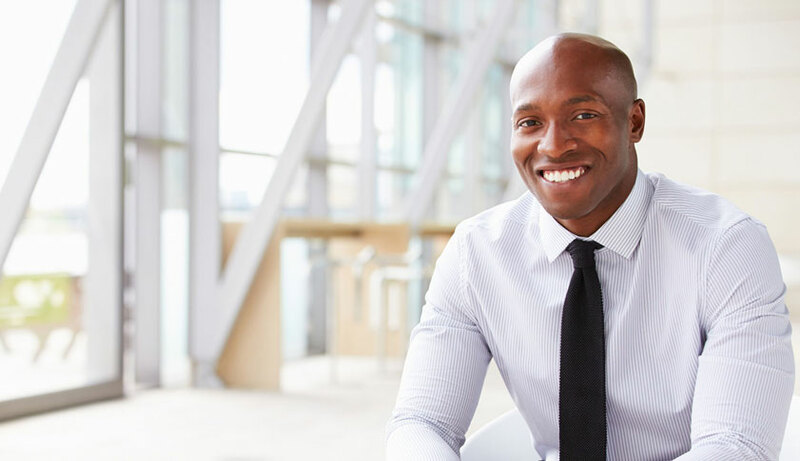 You may be out of town, but you can stay connected at Days Inn Red Deer - for free! Enjoy complimentary Wi-Fi Internet access in every room and throughout the hotel. While you surf, grab a fresh cup of coffee at our 24-hour coffee bar in the lobby. 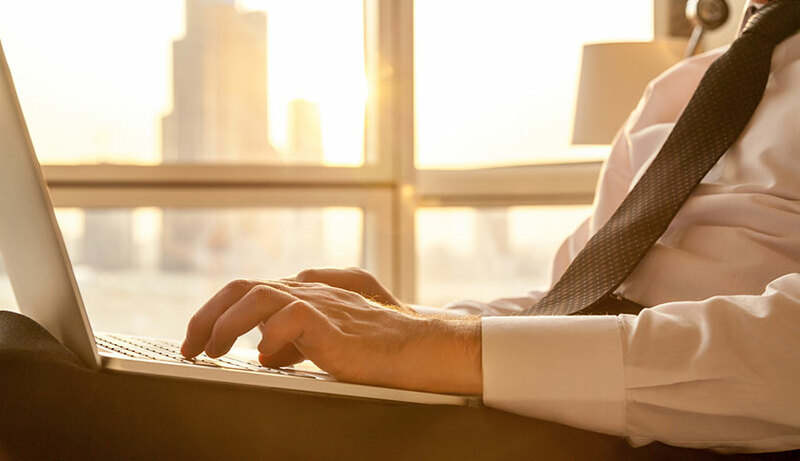 Specially designed with business travellers on working trips, our secure-access fourth-floor Business Rooms and Suites provide peace and quiet to get work done or hold in-suite business meetings. 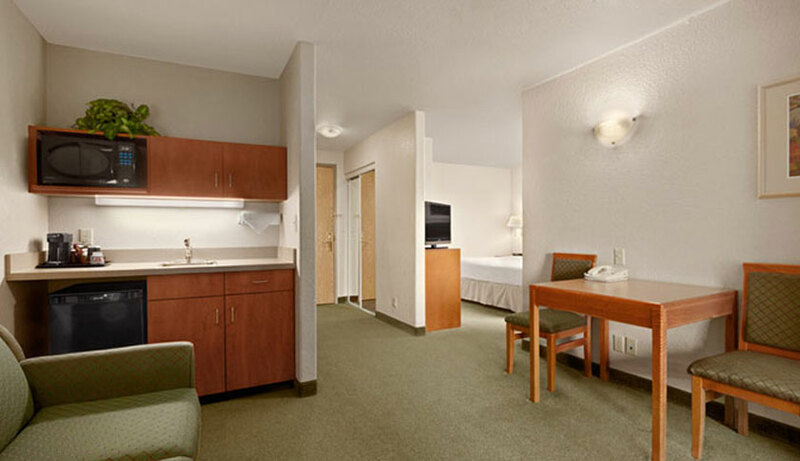 Featuring all the comforts and conveniences of home for our extended stay guests, our Extended Stay Suite features a separate living area and a kitchenette station stocked with dishes and utensils.